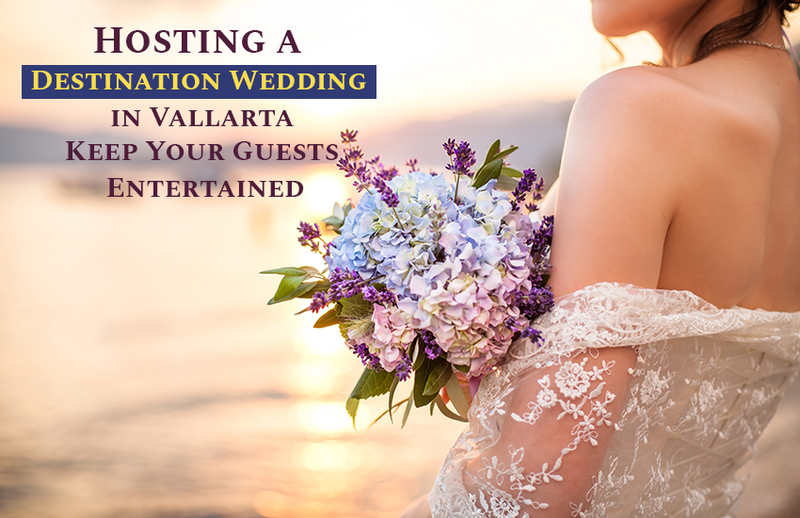 If you're planning to host your destination wedding in Puerto Vallarta, surely your wedding fiesta will be an unforgettable event for all involved. Consider yourself lucky to exchange your vows amid the lush green surroundings and golden sand beaches of Puerto Vallarta. The enchanting beauty and the number of water activities will never allow you to feel like you shouldn’t be doing something, even if it is just lounging. Surrounded by the Sierra Madre Mountains, Puerto Vallarta is located along the Pacific Coast in the heart of Banderas Bay. This region of Mexico offers a myriad of culture, traditions and natural beauty to enjoy during your vacation. Thus, making your visit an unforgettable experience. If you want to keep your guests entertained, Puerto Vallarta yacht tours are the best option when exploring the serene beauty of this place! Imagine sunbathing on the picturesque blue shoreline, hooking some a trophy catch and gazing at the city's natural attractions including scenic mountain views on board your own luxurious fishing charter in Puerto Vallarta! It will be a truly memorable experience. FISHING TOURS – Fishing in the crystal clear waters of Puerto Vallarta is every fisherman's dream. Sports fishing tours take to the water every single day in Puerto Vallarta with angles bringing back impressive catches. The most sought-after catches in these waters include Red Snapper, Dorado, Roosterfish and Giant Tuna. Moreover, these species can be found all year round. The area is also famous for Marlin and Sailfish fishing. In fact, the presence of these fish species has made Puerto Vallarta a renowned fishing destination. Although your catch is not guaranteed, the teeming waters and experienced team give you a very good chance! SWIMMING WITH DOLPHINS – Swimming with dolphins is one of the most iconic vacation activities of all time and a great way to keep your destination wedding guests entertained. Bottlenose dolphins are the highlight of this dolphin escapade, but other marine wildlife also makes an appearance now and then. You can touch, feed, play, learn and swim with dolphins. The dolphin encounters will make lasting memories for you and your wedding guests. DAY TRIP TO YELAPA – If there is a better way to experience the laid-back lifestyle common in Mexico, then an outing to the charming village of Yelapa is a must do activity. Upon arrival at Yelapa, the most common activity is to enjoy and relax under the warm sun while listening to the rhythm of the water lapping the shore. For more energetic folks, there is a myriad of activities to do, such as hiking. While hiking you can take in the mesmerizing views of the surrounding lush green scenery. You can also sip freshly brewed beer and other locally made cuisines. Yelapa is located away from the hustle and bustle of city life. It lets you transport back in time. DISCOVER MARIETAS ISLANDS – Make your guests part of the Puerto Vallarta yacht tours and sail on the crystal clear waters to head towards the Marietas Islands. Marietas Island is an incredibly diverse sanctuary famous for its Lover's beach. As you cruise around the islands, keep your eyes peeled for unique bird species and native wildlife. Get a chance to walk on the hidden beach before whale-watching just off the coast of Puerto Vallarta. Look out for humpback whales. Catch sight of the majestic creatures breaching the surface, or watch for the flip of a fin. Later make your way to astounding Lovers' Beach accessible through a short tunnel. From fishing charters in Puerto Vallarta to dolphin swimming tours, these are just some of the ways to entertain your guests when you choose Puerto Vallarta for your destination wedding. Make this special time of your life memorable both for yourself as well as guests by hosting your wedding on board a private and luxurious wedding charter in Puerto Vallarta.